Four Saints in Three Acts premiered in Connecticut in 1934 and went on to Broadway later that same year. 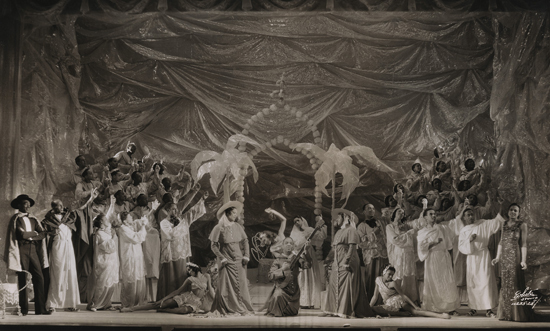 The thought that a modernist, non-linear opera ran on Broadway is confounding enough, but to add to that, the opera was also performed by an all-black cast. 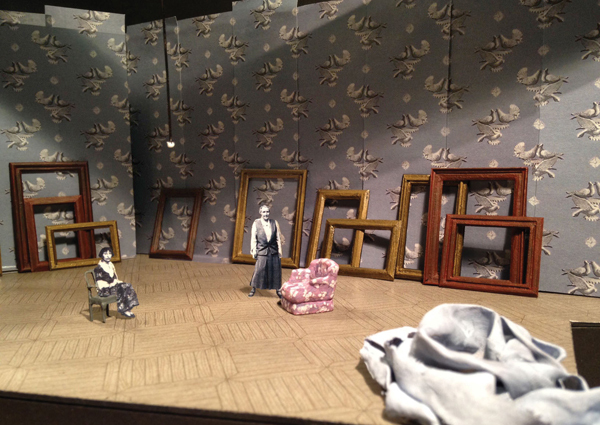 From writer of librettos, to the subject of a libretto herself, Gertrude Stein‘s 27 Rue de Fleurs Paris apartment, the site of her celebrated salon, is the setting and namesake of the forthcoming opera 27, by Ricky Ian Gordon, another American composer, to be given its premiere by the Opera Theater of Saint Louis this summer. Here’s an article in Opera News in anticipation of this premiere. If you want to meet Gertrude Stein in person, then don’t miss the last few performances of A Serious Banquet, a Cubist dinner party featuring such luminaries as Stein, Picasso, Braque, and Rousseau among others, hosted by This is Not a Theater Company. The Rave reviews are in, the company is legendary, and dinner is included! What’s not to love!